Hey guys, sorry it’s been awhile since I’ve posted a meal, but between a pretty busy summer and, well, some other stuff going on, my cooking has been less than creative. 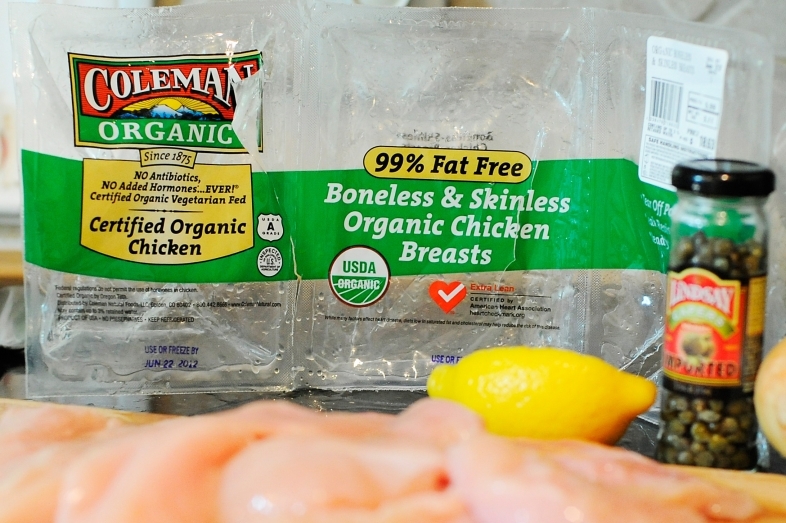 Anyway, I wanted to make something with this Costco Organic Chicken (yay for Costco and saving money!) I got the other day and needed something different. Years ago, when Scott and I lived in Philly and I was working full time to help to put my hubby through grad school, once in awhile, I would come home from work and find this wonderful (not gluten free, we weren’t super healthy pre-kids) meal waiting for me!! It was such a treat! 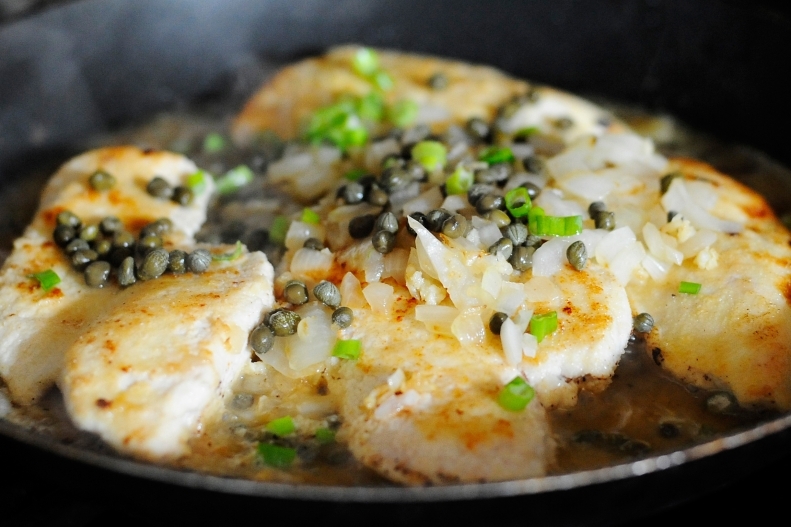 Anyway, I really don’t think we’ve had it since Philly, which was over 8 years ago, so thought it would be fun to try out a gluten free, healthy version of the Chicken Piccata. 1. Chop the onion and press about 4-5 garlic cloves. Then, heat a large pan on high with about a tsp of ghee and saute until brown. Then set aside. 2. 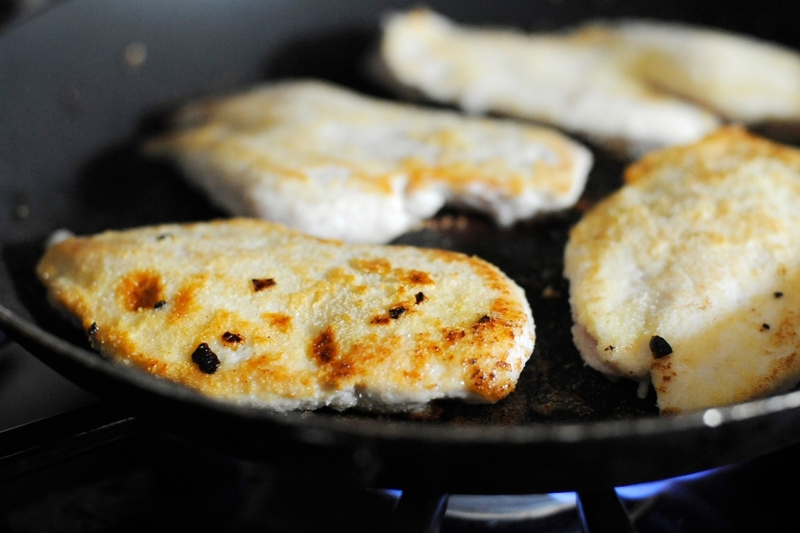 Cut the chicken breasts in half and pay dry and set aside. 3. In a flat bowl, add about 1/3 cup almond flour/meal and 1/2 tsp celtic sea salt, mix and set aside. 4. Now reheat your large pan on high and add about 1 tbsp ghee. Then put the chicken with the almond flour/salt and pat so it covers the chicken and sticks. Then, place chicken in the hot pan and let cook about 3-4 minutes or until it is brown. If you flip it too soon, the almond flour might come off of the chicken so make sure it’s brown. 5. Now, add another tsp or two of ghee and flip the chicken and allow to cook for another 3-4 minutes or until brown. 6. Next, turn the stove down to low and add in the onions/garlic, about 1 tsp salt, the white wine, chicken broth, juice from 1 lemon, and scallions if you use them. 7. Lastly, simmer for 15-20 minutes until the liquid thickens and the chicken is no longer pink in the middle. Serve and enjoy! By the way, this last picture was before the liquid evaporated and the onions were fully saturated with the yummy sauce. It tastes so much better than it looks, I promise!